Joining the millions of people around the world who trust Multibionta and its seven benefits over the same old traditional multivitamin. Sign up for the Multibionta Challenge and receive a $10 coupon. Then get another coupon for $5.00. 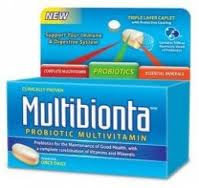 Right now Multibionta is on sale at Save-on-Foods for $10.99, Loblaws Superstore for $13.99 and Zellers for $14.99.